After being arrested, posting bail and getting out of jail is probably your top priority. Whether you reach out for help from a loved one or you manage the bail process on your own, the goal of getting back home as quickly as possible is the same. Once you have posted bail, you may wonder what comes next. As your local bondsmen in Roanoke, we have years of experience helping those in our community who need access to affordable and fast bail bonds. We are more than just a bail bond company, we are a team of dedicated individuals who are passionate about offering professional and respectful help to those who need it most. If you were recently let out of jail on bail, check out these rules that you should always follow. The first thing you should keep in mind when you return home after an arrest is that while you are out on bail, you are probably not allowed to leave the state or country. If you do leave the state or country, you might give the impression to the courts that you are looking to flee and skip out on your court date. It is wise to remain in your current location and to continue about your normal life. Return to work if you can and do not do anything that will look suspicious. If you do need to leave the state or country for some reason, make sure you check with the courts and your bail bondsman before doing so. You might need to get special, written permission before you take a trip outside of your state lines. When in doubt, it is better to play it safe and seek approval before you leave. It probably goes without saying, but the worst thing you can have happen after you post bail is to wind up right back in jail. Make sure that you stay out of trouble and avoid doing anything that might get you in trouble with the law. Now is a great time to obey speed limits and pay attention to every detail of the law. If you know that you have a tendency to get into trouble with a certain group of people, it is not a bad idea to take a break from that crowd for the time being. Focus on preparing for your upcoming trial. Nothing looks worse to the courts than if you leave jail and only a few days later wind up in trouble with the law again. If you need help being accountable, reach out to a trusted family member or friend. While you might know you should stay out of trouble, the only way it will happen is if you are proactive and create a plan for yourself. For example, if you were arrested for drinking and driving and you know that this is a weakness of yours, plan out a specific method for how you will ensure you don’t do this again. Maybe you commit to only drinking at home or perhaps you ask a friend to help you give up drinking altogether. Whatever your plan is, make sure that you think through how you wound up in trouble the first time so you can avoid that same scenario from occurring again. The requirements you are given will be based on a variety of factors, usually specific to the charges you are facing. The judge will also take into account your previous criminal record, as well as your current state of mental health. Other considerations will include any history of substance abuse, the assumed risk that you will flee, and the seriousness of the crime committed. Finally, one of the most important rules you can follow when you bail out of jail is to show up for your court date. This will ensure that you have the best chance of receiving a lesser sentence. If you do not show up for court, you will be in contempt of the court and a warrant will be placed for your arrest. If you know that you struggle to remember appointments and you fear you might forget to show up for your court date, ask a friend or family member to help you remember this important date. Whatever it takes, make sure that this is your number one priority after leaving jail. If you are looking for a bail bondsman in Roanoke who will work hard to get you out of jail quickly, then we are your team. 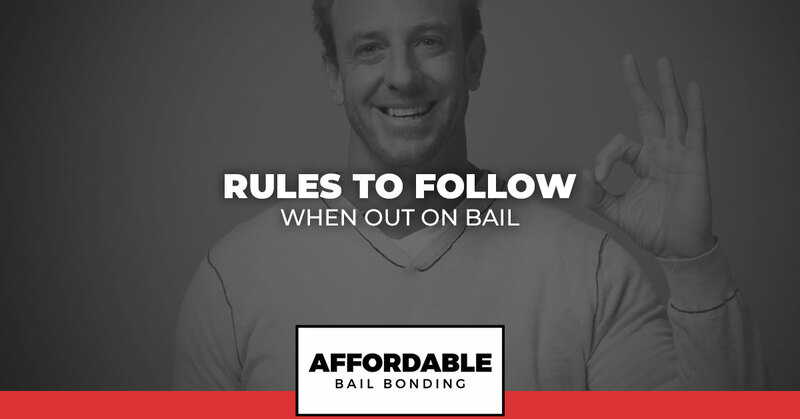 We provide an affordable means for posting bail, as well as a fast one. We will treat you with the respect you deserve. With years of experience navigating the complicated justice system, we are equipped to get you or your loved one out of jail right away. Call us night or day for fast bail services.